Limit 1 per person. Valid on a complete auto detail service. Domestic cars only. By appointment only; must schedule at least 24 hours in advance. New customers only. Waxing not included. Promotional value expires 365 days after purchase. 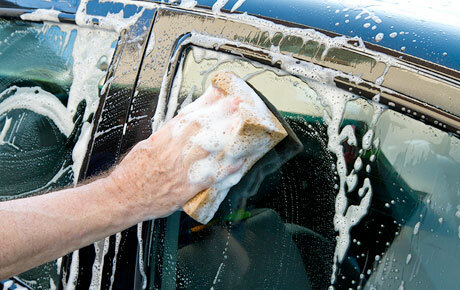 Make sure your car is ready for the road with 50% off auto detailing from Chapas Upholstery in Hammond ($150 value). This thorough cleaning includes shampooing, vacuuming and application of Armor All on tires and leather or vinyl surfaces. After working in the industry for 10 years, Armando Rojas opened Chapas Upholstery to continue providing his excellent service and craftsmanship to the community. Chapas offers complete auto and marine interior repairs and replacements, as well as a variety of custom projects. They offer a comprehensive range of services from custom upgrades to specialized motorcycle seats and stereo installation. The relaxed, family-oriented atmosphere puts guests at ease and the staff ensures expert results. Give your vehicle a pristine look with this deal.